HuzuVirtual is a new technology which takes social gaming and community into whole new virtual worlds. GLASGOW — HuzuVirtual is a brand new technology from HuzuTech, which promises to revolutionize the rapidly evolving social gaming market. The technology allows the creation of stand-alone, browser-based, online worlds – which can be played on any device, by multiple players. Huzutech today launched Paperworld, a technology demonstrator, which shows how social networks, virtual worlds, online communities and massively multiplayer games are all now intersecting. Paperworld offers an example of how companies can combine the mass appeal of social networks and online communities with the entertainment and engagement of multiplayer games and virtual worlds. HuzuTech's PaperWorld is a 2.5D virtual world demonstration. The HuzuVirtual technology creates new opportunities for publishers, media companies and brand owners wishing to create their own wholly customised online world, which combines a community and online, multiplayer gaming experience, all integrated into the user’s chosen social networks. HuzuVirtual allows persistent multi-participant worlds to be created, quickly, simply and efficiently. Each world can be branded to create a totally unique environment within which mini games, challenges and activities can be created for single and multiple players. As these worlds are accessed via web browser, HuzuVirtual worlds can be accessed through almost every digital device, from smartphones and tablets, to netbooks and desktops. HuzuVirtual also provides seamless integration into all of the major social channels and networks – including Facebook and Twitter. This gives users immediate access to friends and followers as well as enabling leaderboards, high score challenges, multi-player competition and cross-posting out through the player’s various profiles, tying the world into each user’s everyday online life. In addition, the HuzuVirtual platform integrates social media capabilities right into the games world itself. 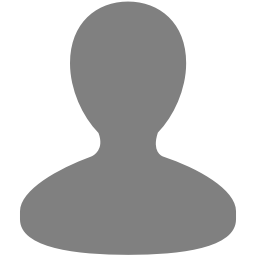 This enables users to create or join groups, post to forums, upload images, video and blogs to their profile, as well as see and interact with those created and uploaded by their friends and contacts. Online communities, social networks and virtual worlds are changing the way in which people all over the world communicate, participate, collaborate and play. Stand alone communities are increasingly rare, as users share more information and cross-pollinate over a wide range of digital services across multiple devices, platforms and channels. Huzutech understands how these new environments are evolving, growing and being used. The company has created a comprehensive technology – HuzuVirtual- which allows the creation of wholly-branded, white label online virtual worlds, which integrate seamlessly with all leading social networks. HuzuVirtual enables brand owners, media companies and organisations to build an effective, branded online presence, tailored to their individual requirements, which encourages user 1632662918 participation across all new platforms, social networks and digital channels. Founded in 2009, Huzutech is headquartered in Glasgow, Scotland, one of the world’s leading regions for the development of original new interactive entertainment and digital media. The company was founded by [a team] of online veterans, who had worked with a number of pioneering companies, including D.A.G. Huzutech is backed by funding partners. In 2010, the company was fast-tracked by Scottish Enterprise as one of the country’s most innovative new digital media companies, with truly global potential.